42 children are diagnosed with T1D each day. The vast majority of the children we serve are newly diagnosed, yet too many are under-insured, low-income and require more support, not just technology, in the weeks & months following diagnosis. John & I are passionate about providing the latest diabetes education to families and schools, providing a better way to coordinate care and really being there for those that need us most. We are so fortunate to be working with the following partners in our effort to provide a safe and healthy future for our kids with diabetes and their schools. Novo Nordisk is changing the future of diabetes. 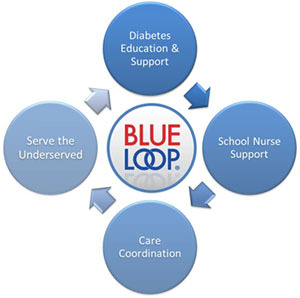 They believe the health of tomorrow depends upon the way we care for, cure, and prevent diabetes today. John and I couldn't agree more! 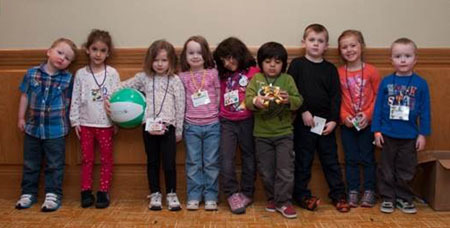 Children's Hospital of Wisconsin, located in Milwaukee, Wisconsin, is the region's only independent health care system dedicated solely to the health and well-being of children. In Milwaukee and throughout the state, Children's provides kids and their families a wide range of care and support - everything from routine care for ear aches or sore throats to life saving advances and treatment options. Want to know the benefits of partnering? Email Pam at pam.henry@mycareconnect.com or simply call 972-841-1311. John and I, along with our families and schools, are grateful to all the doctors and CDE’s who recognize the immediate impact we make in the lives of our children. Caring for our kids with diabetes is one of the toughest things a school will ever face. It is why we dedicate so much time and resources providing education, training and support to thousands of school personnel, teachers and staff – you are our most valuable resource!